Founded by royal charter in 1484 by King Richard III, the College is one of the few remaining official heraldic authorities in Europe. Within the United Kingdom, there are two such authorities, the Court of the Lord Lyon in Scotland and the College for the rest of the United Kingdom. The College has had its home in the City of London since its foundation, and has been at its present location, on Queen Victoria Street, since 1555. The College of Arms also undertakes and consults on the planning of many ceremonial occasions such as coronations, state funerals, the annual Garter Service and the State Opening of Parliament. Heralds of the College accompany the sovereign on many of these occasions. On 8 May 1660, the heralds at the command of the Convention Parliament proclaimed Charles II, King at Westminster Hall Gate. 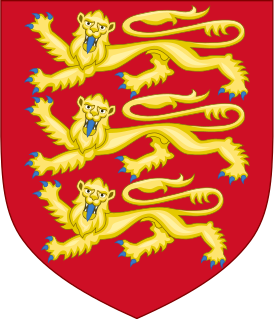 It was said that William Ryley, who was originally appointed Lancaster Herald by Charles I but then sided with Cromwell, did not even have a tabard with the Royal Arms, as his own had been "plundered in the wars". He had to borrow a decorative one from the tomb of James I in Westminster Abbey instead; the garment was duly returned the next day. The Restoration of Charles II annulled all the Acts of the Parliament and all the actions of the Lord Protector, without penalising any of their supporters (except for the regicides). Accordingly, all the grant of arms of the Commonwealth College was declared null and void. Furthermore, all heralds appointed during the Interregnum lost their offices, while those appointed originally by Charles I returned to their places. The exception was Edward Bysshe, who was removed as Garter, but was instead appointed Clarenceux in 1661, much to the chagrin of Garter Edward Walker. In 1666 as the Great Fire of London swept through the city, Derby Place, the College's home since 1555, was completely gutted and destroyed. Fortunately the College's library was saved, and at first was stored in the Palace of Whitehall, then later moved to the Palace of Westminster, where a temporary office was opened in an apartment called the Queen's court. An announcement was also made in the London Gazette to draw public notice to the situation. Due to a shortage of funds, the planned rebuilding of a new College was delayed until 1670. It was then that Francis Sandford, the Rouge Dragon Pursuivant and Morris Emmett, the King's bricklayer, were together able to design and begin construction of a new structure on the old site. The costs of the rebuilding was financed in stages, and the structure was erected slowly in parts.The heralds contributed significantly out of their own pockets; at the same time, they also sought subscriptions among the nobility, with the names of contributors recorded into a series of splendid manuscripts known as the Benefactors Books. In 1742 a Sugar House was built against the wall of the College. This structure was a fire risk and the cause of great anxiety among the heralds. In 1775 the College Surveyor drew attention to this problem, but to no avail. In February 1800, the College was asked by a Select Committee of the House of Commons to report to them the state of public records; again the heralds drew attention to the proximity of the Sugar House. Members of the committee inspected the College premises and reported to the House that the College must either be moved to a new building or secured against the risk of fire. Again nothing was done; in 1812 water seeped through the walls of the College damaging records. The Surveyor traced the leak back to a shed recently erected by Mr. Alderman Smith, owner of the Sugar House, who declared his readiness to do everything he could, but who actually did very little to rectify the situation. After years of negotiation the College, in 1820, bought the Sugar House from Smith for the sum of £1,500. In the past this issue of eligibility have been a source of great conflict between the heralds, as such submissions are made on an officer for clients basis, which meant some 'unsuitability' was ignored in lieu of profit by past officers. Suitability rested on the phrase "eminent men", originally the test applied was one of wealth or social status, as any man entitled to bear a coat of arms was expected to be a gentleman. By 1530, the heralds applied a property qualification, requiring successful candidates for a grant of arms to have an income from land of £10 per annum, or movable wealth of £300. However this was not always the case, in 1616 Ralph Brooke, York Herald, tricked Garter King of Arms, William Segar, into granting a coat of arms to Gregory Brandon, a common hangman, for a fee of 22 shillings. When the king found out he had them both imprisoned at Marshalsea, they were freed a few days later. The fee for the grant of arms is due when the memorial is submitted, the amount being laid out in the Earl Marshal's Warrant. As of 1 January 2016 the fees for a personal grant of arms, including a crest is £5,875, a grant to a non-profit body is £12,375 and to a commercial company is £18,350. This grant however does not include a grant of a badge, supporters or a standard, their inclusion into the grant requires extra fees. The fees mainly go towards commissioning the artwork and calligraphy on the vellum Letters Patent, which must be done by hand and in a sense a work of art in itself, plus other administrative costs borne by the heralds and for the upkeep of the College. As soon as the composition of the blazon is agreed to by both parties a final grant could then be created. This takes the form of a handmade colourfully illuminated and decorated Letters Patent. The letter is written and painted in vellum by a College artist and scrivener. The grant is then signed and sealed by the King of Arms, it is then handed to the petitioner, authorising the use of arms blazoned therein as the perpetual property of himself and his heirs. A copy of the grant is always made for the College's own register. Once granted, a coat of arms becomes the hereditary and inheritable property of the owner and his descendants. However, this can only be so if the inheritor is a legitimate male-line descendent of the person originally granted with the arms. To establish the right to arms by descent, one must be able to prove that an ancestor had his arms recorded in the registers of the College. If there is a possibility of such an inheritance, one must first make contact with an officer-in-waiting at the College, who could then advise on the course of action and the cost of such a search. The research into a descent of arms requires details of paternal ancestry, which will involve the examination of genealogical records. The first step involve a search of the family name in the College's archives, as coats of arms and family name has no connection, the officer could prove, through this method, that there is in fact no descent. However, if a connection is found a genealogical research outside of the College's archives would then be undertaken to provide definitive evidence of descent from an armigerous individual. The College of Arms is also an authorised location for enrolling a change of name. In common law there is no obligation to undergo any particular formality to change one's name. However, it is possible to execute a deed poll, more specifically a deed of change of name, as a demonstration of intention to adopt and henceforth use a new name, and deeds poll may be enrolled either in the High Court or in the College. On being enrolled the deed is customarily 'gazetted', that is published in the London Gazette. The deed poll is not entered on the registers, but is still published, if the name change only affects one's given name. On 1 June 2004 a Royal Warrant issued by Queen Elizabeth II states "that it is desirable for a full record to be kept of all of Our subjects who are Peers", this new record would be named the Roll of the Peerage. The warrant was later published in the London Gazette on 11 June 2004. The warrant handed the responsibility of maintaining the roll to the Secretary of State for Constitutional Affairs, in 2007 this responsibility was assumed by the Crown Office within the newly created Ministry of Justice. The warrant also stipulated that the Secretary of State would act in consultation with the Garter King of Arms and the Lord Lyon King of Arms. The roll would then be published by the College of Arms; currently an online edition is available. The Earl Marshal is one of the Great Officers of State, and the office has existed since 1386. Many of the holders of the office have been related to each other; however, it was not until 1672 that the office became fully hereditary. In that year Henry Howard was appointed to the position by King Charles II. In 1677 he also succeeded to the Dukedom of Norfolk as the 6th Duke, thus combining the two titles for his successors. (22 September 2017) Heralds of Arms, whose titles are references to places or peerage titles historically associated with the monarchy. The office was created by King Edward III, and the first holder was a herald to Edward, the Black Prince, who was also Earl of Chester. Since 2017 It has been suggested that the office was instituted specifically for the Order of the Garter in 1348, or that it predates the Order and was in use as early as 1338. Since 2017 Named after the portcullis badge of the Tudors (a pun on their name: Tudoor), which was a favourite device of King Henry VII, instituted around 1490. The College of Arms features in the James Bond novel On Her Majesty's Secret Service by Ian Fleming. After visiting the College for a briefing, Bond poses as an officer of the College to meet the villain Ernst Stavro Blofeld, who wants to prove his noble ancestry. ^ a b c d e f g h i "The history of the Royal heralds and the College of Arms". College of Arms. Retrieved 27 January 2012. ^ "Privy Council: Record of Charters Granted". Privy Council Office. Retrieved 27 January 2012. ^ a b c "How the College of Arms works". College of Arms. Retrieved 27 January 2012. ^ The College originally occupied a property between St Paul's and Thames St known as Derby Place, which burned in the Great Fire. The replacement building, known simply as the College of Arms or Herald's College, was built on the same property. When Queen Victoria St was built it crossed the south end of the College's property; the building was then remodeled to front onto the new street. ^ "LITERÆ DE INCORPORATIONE HERALDORUM". S.Uemura's Web Page. Retrieved 27 January 2012. ^ a b c d e f g h "Architecture of the College". College of Arms. Retrieved 14 June 2016. ^ "The College of Arms Newsletter, December 2009". College of Arms. Retrieved 27 January 2012. ^ "Lyon King of Arms Act of 1867 (30 & 31 Vict., c.17)". legislation.gov.uk. Retrieved 27 January 2012. ^ a b c "Committee on the Heralds' College". The National Archives. Retrieved 27 January 2012. ^ a b c d e "Constitution and Working of the College of Heralds". The National Archives. Retrieved 27 January 2012. ^ "The Guild Church of St Benet, Paul's Wharf: A Brief History" (PDF). stbenetwelshchurch.org.uk. Retrieved 27 January 2012. ^ "Fire at heraldry records building". BBC News. 5 February 2009. Retrieved 27 January 2012. ^ Johnson, Wesley (5 February 2009). "Fire hits College of Arms". The Independent. UK. Retrieved 27 January 2012. ^ "The College of Arms Newsletter, March 2009". College of Arms. Retrieved 27 January 2012. ^ "The College of Arms Newsletter, October 2009". College of Arms. Retrieved 27 January 2012. ^ a b c "Official Royal posts: Earl Marshal". The Royal Household. Retrieved 27 January 2012. ^ "UK Politics: A-Z of Parliament: State Opening of Parliament – Royal Procession". BBC News. 15 October 1998. Retrieved 27 January 2012. ^ "Pomp and Circumstance at Westminster". Christine Riding for BBC Online. Retrieved 27 January 2012. ^ "The Monarchy Today – Royal events and ceremonies – Garter Service". The Royal Household. Retrieved 27 January 2012. ^ "Members of the Order of the Garter". The Royal Household. Retrieved 27 January 2012. ^ "Rules of Royal Succession". Political and Constitutional Reform Committee. Retrieved 27 January 2012. ^ "Royal Residences: St. James's Palace". The Royal Household. Retrieved 27 January 2012. ^ "How a New King Succeeds to the Throne". The New York Times. 25 June 1902. Retrieved 27 January 2012. ^ "New King proclaimed to-morrow". The Guardian. UK. 6 April 2000. Retrieved 27 January 2012. ^ "Ancient Coronation Traditions & Etiquette: Part 5". London Online. Retrieved 27 January 2012. ^ Alderson, Andrew; Lusher, Adam (7 April 2002). "Queen Mother's 'human side' seen in poems and hymns". London: The Telegraph. Retrieved 27 January 2012. ^ Moss, Stephen (10 April 2002). "Wit, wisdom, and not a burgundy tie in sight". The Guardian. UK. Retrieved 27 January 2012. ^ a b c d e f "Granting of Arms". College of Arms. Retrieved 14 June 2016. ^ Pegge, Samuel (1818). Curialia Miscellanea; Or, Anecdotes of Old Times: Regal, Noble, Gentilitial, and Miscellaneous: Including Authentic Anecdotes of the Royal Household, and the Manners and Customs of the Court, at an Early Period of the English History. London: J. Nichols, Son, and Bentley. pp. 335–336. ^ a b "Proving a right to arms". College of Arms. Retrieved 14 June 2016. ^ a b "Changes of Name". College of Arms. Retrieved 14 June 2016. ^ a b "Registering a Pedigree". College of Arms. Retrieved 14 June 2016. ^ "House of Lords Act 1999 (1999 c.34)". legislation.gov.uk. 11 November 1999. Retrieved 27 January 2012. ^ "Introductory text to the Roll of the Peerage". College of Arms. 1 June 2004. Retrieved 27 January 2012. ^ "No. 57314". The London Gazette. 11 June 2004. pp. 7320–7321. ^ "The Roll of the Peerage" (PDF). College of Arms. 1 June 2004. Retrieved 27 January 2012. ^ a b c d e f g h "The current officers of arms". College of Arms. Retrieved 14 June 2016. ^ Janin, Hunt (2004). Medieval Justice: Cases and Laws in France, England and Germany, 500–1500. London: McFarland & Company. pp. 145–146. ISBN 0-7864-1841-9. ^ a b c "Some past heralds". College of Arms. Retrieved 14 June 2016. ^ "No. 59385". The London Gazette. 8 April 2010. p. 6033. ^ a b c d e f g h i j k l "The origin and history of the various heraldic offices". College of Arms. Archived from the original on 4 February 2012. Retrieved 2 March 2017. ^ "New Norroy & Ulster King of Arms". College of Arms. 3 July 2014. Retrieved 19 March 2015. ^ a b "No. 62064". The London Gazette. 27 September 2017. p. 18030. ^ "No. 55620". The London Gazette. 27 September 1999. p. 10313. ^ "No. 57419". The London Gazette. 24 September 2004. p. 12075. ^ "No. 59387". The London Gazette. 12 April 2010. p. 6285. ^ "No. 60665". The London Gazette. 23 October 2013. p. 20913. ^ a b "No. 55291". The London Gazette. 26 October 1998. p. 11553. ^ "No. 51716". The London Gazette. 27 April 1989. p. 5041. ^ "No. 53849". The London Gazette. 15 November 1994. p. 15981. ^ "No. 59505". The London Gazette. 2 August 2010. p. 14735. ^ a b "New Zealand Herald of Arms Extraordinary". Department of the Prime Minister and Cabinet. Retrieved 27 January 2012.
to conserve and interpret heraldic and genealogical records. Sir Albert William Woods was an English officer of arms, who served as Garter Principal King of Arms from 1869 to 1904. The Woods family has a strong tradition of service at the College of Arms. Albert Woods was the son of Sir William Woods, Garter King of Arms from 1838 until his death in 1842. Likewise, the grandson of Albert Woods was Sir Gerald Woods Wollaston, who also rose to the rank of Garter King of Arms and served there from 1930 until 1944. Sir Peter Llewellyn Gwynn-Jones was a long-serving Officer of Arms at the College of Arms in London. He was Garter Principal King of Arms, the senior English officer of arms, from 1995 to 2010. Maltravers Herald of Arms Extraordinary is a current officer of arms extraordinary in England. As such, Maltravers is a royal herald, but is not a member of the College of Arms in London. The present office was created in 1887 by the Earl Marshal, who was also the Duke of Norfolk and Baron Maltravers. The office is known to have been held by a pursuivant to Lord Maltravers when he was deputy of Calais from 1540 to 1544. The badge is blazoned as A Fret Or. It was officially assigned in 1973, though it had been assumed by two Maltravers Heralds in the 1930s. It derives from the coat of arms of Maltravers Sable a Fret Or and a Label of the points Ermine, and was the badge of John, Earl of Arundel through which family the barony passed to the Howard dukes of Norfolk. Norfolk Herald of Arms Extraordinary is an officer of arms in England. As an officer extraordinary, Norfolk is a royal herald, though not a member of the corporation of the College of Arms in London. Beginning in 1539 this officer was a herald to the dukes of Norfolk, though the first holder, John James, was paid a salary by King Henry VIII. Subsequent Norfolk heralds have been officers extraordinary, though the office has not always been filled but rather revived when required. The badge of office, assigned in 1958, is blazoned as Two Ostrich Feathers saltirewise each charged with a Gold Chain laid along the quill. It derives from the ostrich feather badge granted by King Richard II around 1387 as a mark of special favor to Thomas Mowbray, Duke of Norfolk, Marshal of England. Mowbray was also the first to be styled Earl Marshal. Fitzalan Pursuivant of Arms Extraordinary is a current officer of arms in England. As a pursuivant extraordinary, Fitzalan is a royal officer of arms, but is not a member of the corporation of the College of Arms in London. As with many other extraordinary offices of arms, Fitzalan Pursuivant obtains its title from one of the baronies held by the Duke of Norfolk, Earl Marshal of England; the appointment was first made for the coronation of Queen Victoria in 1837. The badge of office was assigned in 1958 and is derived from a Fitzalan badge of the fifteenth century. It can be blazoned An Oak Sprig Vert Acorns Or, but is also recorded as A Sprig of Oak proper. A private officer of arms is one of the heralds and pursuivants appointed by great noble houses to handle all heraldic and genealogical questions. David Hubert Boothby Chesshyre is a retired British officer of arms. Thomas Woodcock is the Garter Principal King of Arms. Sir George Rothe Bellew,, styled The Honourable after 1935, was a long-serving herald at the College of Arms in London. Educated at the University of Oxford, he was appointed Portcullis Pursuivant in 1922. Having been Somerset Herald for 24 years, he was promoted to the office of Garter Principal King of Arms in 1950, the highest heraldic office in England and Wales. He served in that capacity until his resignation in 1961. As Garter, Bellew oversaw the funeral of George VI, proclaimed the late King's daughter, Elizabeth II, as Queen and took a leading role in the organisation of her Coronation in 1953. After his retirement, Bellew was Secretary of the Order of the Garter and Knight Principal of the Imperial Society of Knights Bachelor. He lived for many years at Dower House in Old Windsor, Berkshire, but later moved to Farnham and died in 1993, aged 93. Thomas Hawley was a long-serving officer of arms at the College of Arms in London. He began his career of royal service as a groom porter to Queen Margaret of Scotland from her marriage in 1503 until 1508. Although he may have been made Rose Blanche Pursuivant in the reign of King Henry VII, his first permanent heraldic appointment came in 1509. Stephen Martin Leake was a numismatist and long-serving officer of arms at the College of Arms in London. Sir William Segar was a portrait painter and officer of arms to the court of Elizabeth I of England; he became Garter King of Arms under James I.
Howard Pursuivant of Arms Extraordinary is an officer of arms extraordinary in England. As such, Howard is a royal herald, but is not a member of the College of Arms in London.